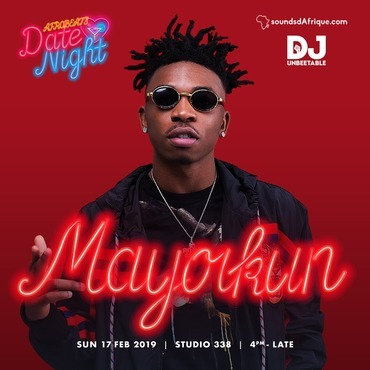 If Afrobeats In The Garden is anything to go by, Afrobeats Date Night at Studio 338 promises to blow your mind off. Unlike Afrobeats in the Garden, this event would take place at the Luxurious Studio 338 Terrace. Studio 338 terrace at North Greenwich offers its guests the definitive London nightlife experience. The quintessential nightspot fuses the appeal of an ultra exclusive lounge and a high-energy nightclub. Studio 338 is home to celebrities, VIP’s and London’s local party crowd. With a few thousand square feet of striking architectural design and lavish decor, the stage is set for the ultimate experience in high-end entertaining. Line up: Dj Unbeetable and Shane Dollars. Fans can look forward to hearing hits from his new Album The Mayor of Lagos such as ‘Bobo’ ‘Mama’ ‘Posh’ ‘Fantasy’’Mind’ & ‘Che Che’. 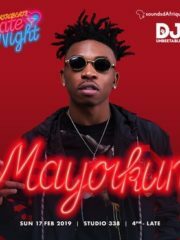 As well as classics such as ‘Eleko’ ‘Back 2 Back’ & ‘Love You Tire’ Mayorkun, burst into the scene in 2016, when he was discovered by the Afrobeats Legend – DAVIDO. Catch him live in what promises to be an epic performance! Suya, Shawarma, Jollof Rice and Jerk Chicken would be sold on the day. Bring your Honey for a Day/Night Out, or your friends for a girls’/guys’ night out!